Colin Baker knows a thing or two about space and time travel, at least in a totally made up and fictional capacity, so it makes sense that NASA would employ him to introduce the next way that humans have cooked up to hurtle ourselves through the vacuum of space. The former Doctor Who star showed up on the official Facebook page for the space agency’s new Orion spacecraft, giving the vessel a quick, but appropriate introduction to the world. Post by NASA’s Orion Spacecraft. When President Obama officially canceled the Constellation Program, one era of U.S. spaceflight ended and another one began—both Obama and NASA made a case for using private companies for the transport of humans and cargo into space. He also assured citizens that the space agency wasn’t about to retire entirely from the game, and dangled the carrot of Orion—their next manned spacecraft intended to bring humans beyond low-Earth orbit. 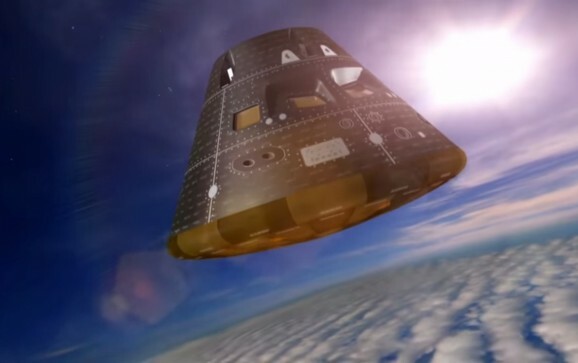 Orion is “Apollo on steroids,” and NASA is currently preparing for its first test flight. This test flight would have been a big deal no matter what, but after last week’s catastrophes, the stakes feel higher than ever. Unless you’re a die-hard NASA junkie, you might not know about the space agency’s tradition of getting a bit silly when it comes to the posters for their missions to the International Space Station. After all, astronauts are real-life heroes, so why not put that in perspective by letting them stand in for some fictional versions? 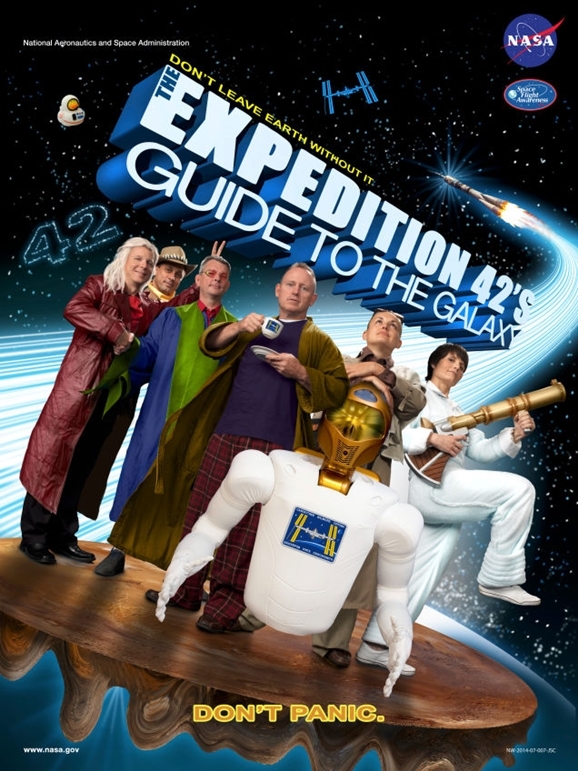 So what movie would get the nod for ISS Expedition 42? Don’t panic — they’ve already got the perfect idea. When President Obama announced the end of the Constellation program, many people worried about the U.S. not having a method of transport for its own astronauts. Since then, American astronauts have been buying rides to the ISS on Russian Soyuz capsules. Given that Russia will soon be bowing out of the ISS, it’s now particularly important that NASA figures out another way to transport its astronauts. Hence the Commercial Crew Program, NASA’s way of soliciting transportation services from private companies. 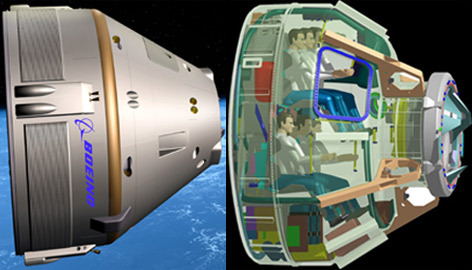 The three contenders were SpaceX’s Dragon, Sierra Nevada’s Dreamchaser, and Boeing’s CST-100. This morning, the Wall Street Journal reported that NASA “is poised” to award the $3 billion to Boeing. Here’s an all to rare thing: a post to celebrate the extension of seven planetary missions. I’m exercising cautious optimism regarding NASA, but I’m happy to hear that some of the agency’s most famous (and most awesome) programs won’t be getting the axe any time soon. 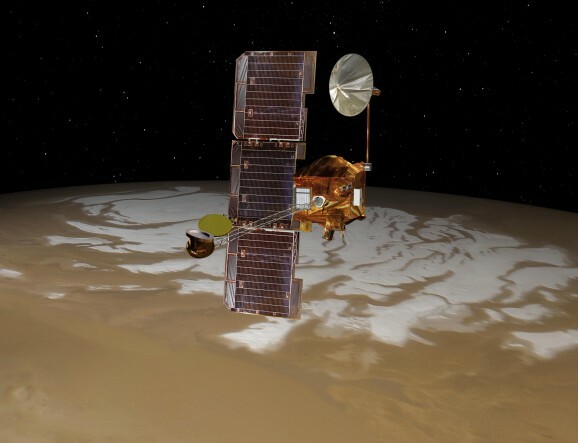 The space agency just finished the 2014 senior review of its currently operating planetary science missions and decided not to cancel any of them. Color me surprised—and delighted. Still, NASA’s Planetary Science Division Director Jim Green did say that some of the missions will have to operate “leaner and meaner” as they deal with some cutbacks. A report of their findings will be released sometime this week. For all the man-made catastrophes humans have to fear, there are natural ones too, like volcanic explosions, earthquakes, and asteroids. They’ve all caused widespread chaos and extinctions throughout Earth’s history. And while we can predict and prepare for these occurrences, to some degree, the general stance on these phenomena is that humans can do nothing about them—they’re products of nature at its most powerful and undiscriminating. But recently, NASA and other space agencies around the world have discussed various strategies for avoiding a direct hit by an asteroid. 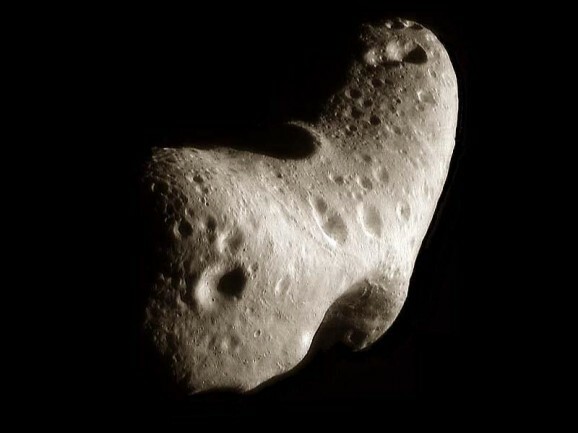 They’ve got a spacecraft specifically devoted to hunting these space rocks–both to identify threats and to look out for mining possibilities–guidelines for protection, a space cannon to blast away any that are too close for comfort, solar-powered laser plans, and something called the Asteroid Redirect Mission (ARM). This last one is a plan to guide a near-Earth asteroid into orbit around the moon for future exploration. While capturing one would prove our ability to manipulate the trajectory of a big hunk of space rock, which could be a starting point for asteroid redirection, this mission probably isn’t going to save us from one on a collision course with Earth. ARM involves blowing off a small chunk (just over 30 feet in diameter) from an asteroid and towing that into lunar orbit in a bag. The program is less focused on cataclysm avoidance, which some people take issue with, and more centered on what we can learn, especially stuff that might apply to putting humans on Mars. It’s becoming clear that most experts believe ARM is basically a bad excuse for sucking up resources.